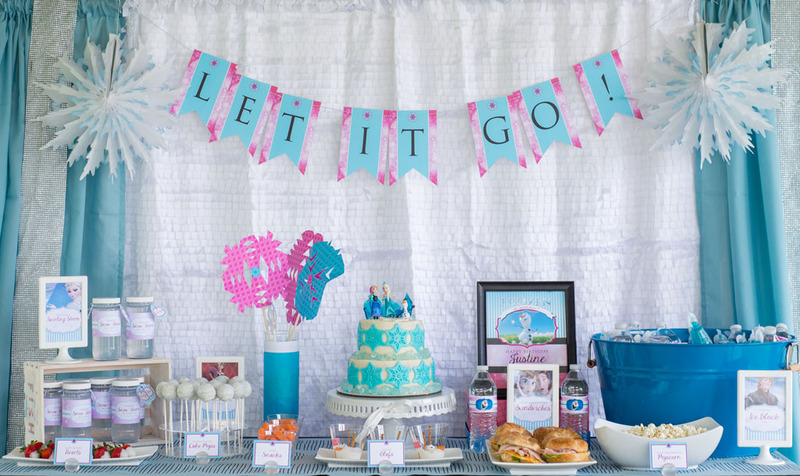 Turn all those pins into a pinterest-quality party of your very own! 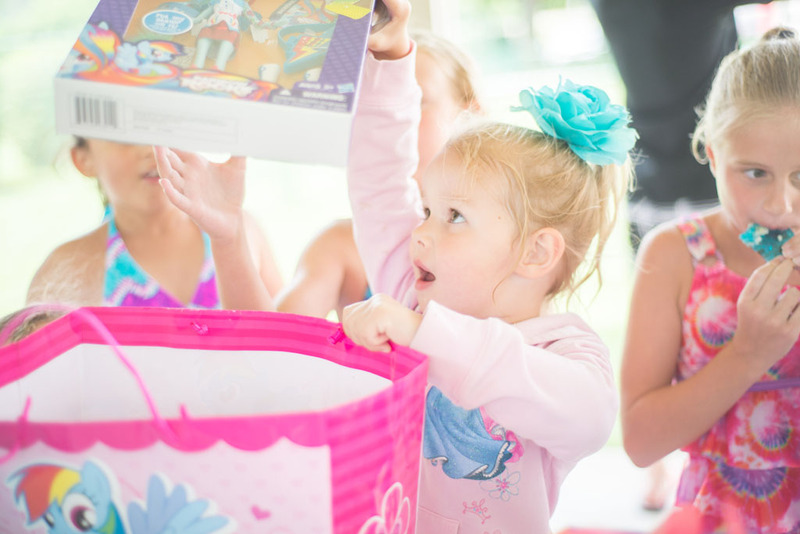 Months ago, before she saw Frozen, my daughter wanted an Ariel party. 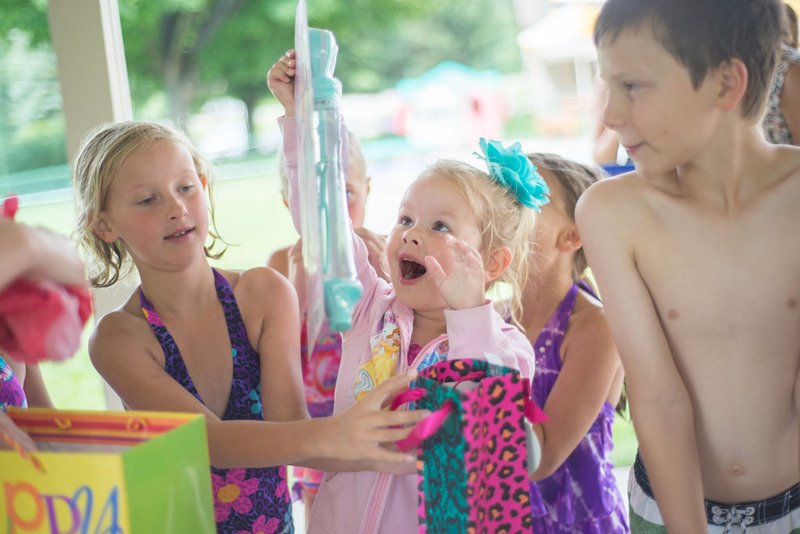 Since her birthday is in June, I knew a pool party was the perfect venue. 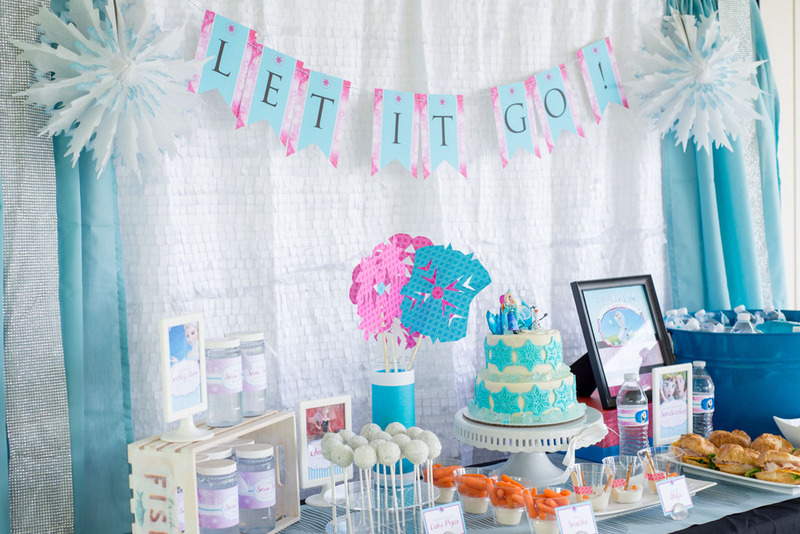 But her obsession with Frozen grew and a new party theme was born! 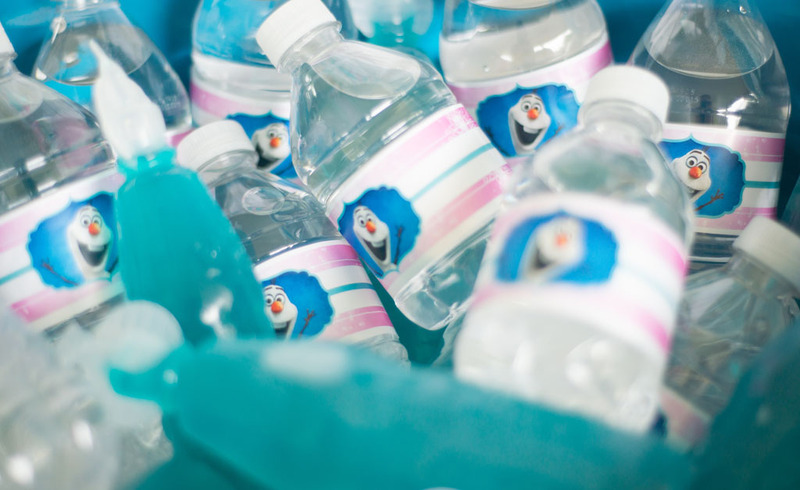 Beyond Olaf’s charming tune about all things summer, I wanted it to be a burst of cool air during a summertime birthday pool party. 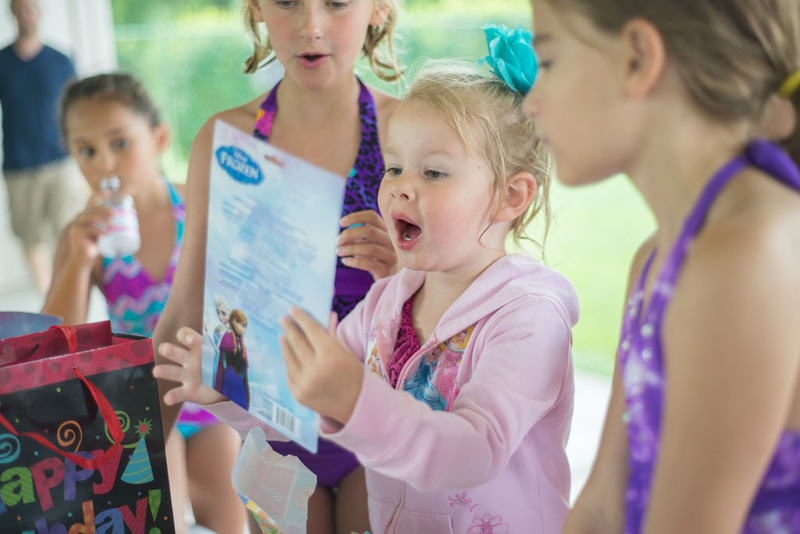 The first order of business was finding an Elsa swimsuit. I had NO IDEA that they are nearly impossible to find. I lucked out and found one on ebay…phew! The cake was all she talked about pre-party. It HAD to have every character! 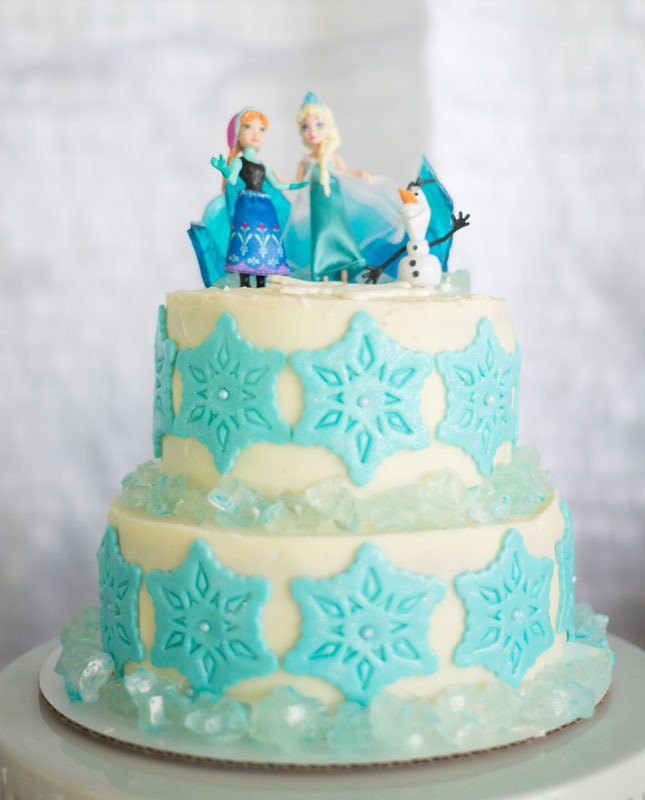 It HAD to have Elsa’s ice castle! I really do like making my own cakes, even if it’s a bit stressful. So I did my best to fulfill her wish. The two-tier cake was devil’s food and vanilla, covered in a July-friendly layer of white chocolate ganache. 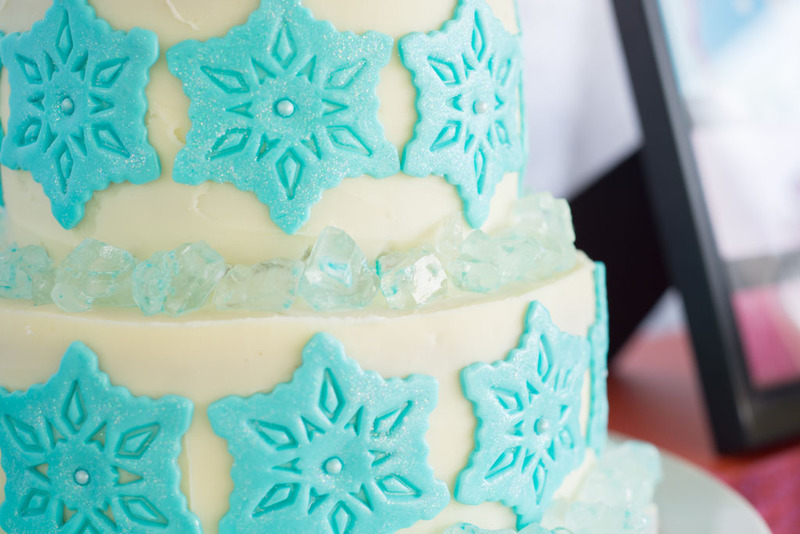 I decorated the cake with homemade marshmallow fondant and used this cookie press to create the snowflakes. To give it some extra sparkle, I added “disco” dust and edible pearls! 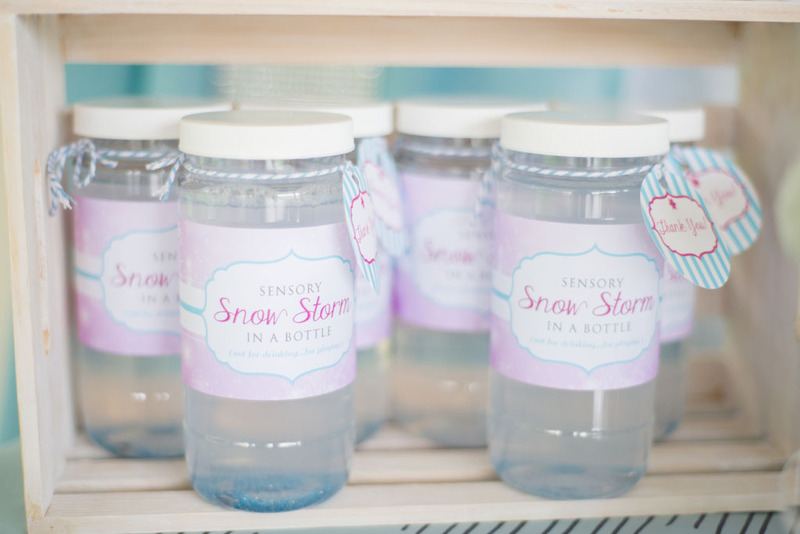 Rock candy and melted blue jolly ranchers created the perfect icy touch! I loved the cake without the figurines, but it’s her birthday, so she got what she wanted. Naturally, I scoured catchmyparty.com and pinterest for ideas. I really can’t claim originality for most of these party elements, with the exception of my signage and the party favors. Since I’ve seen the movie MANY times and listened to the song lyrics over and over, I had some great ideas for pulling together the party food. 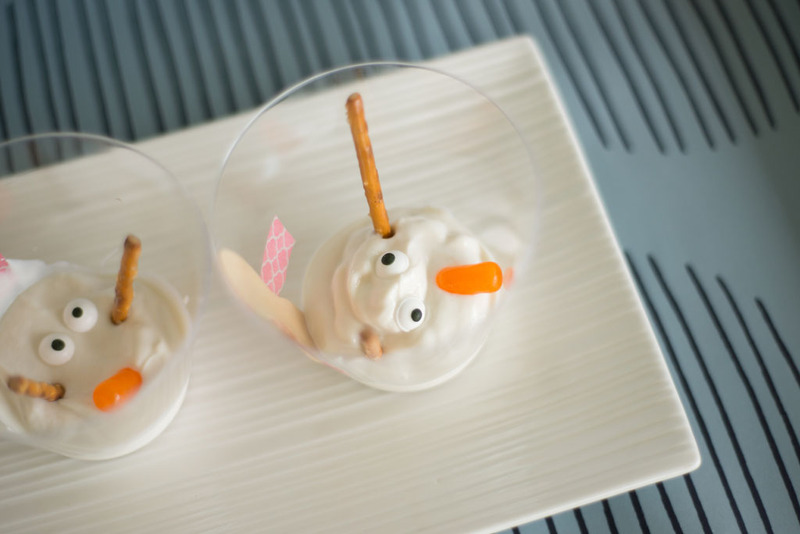 “Sven Snacks” (carrots and ranch), “Melted Olafs” (yogurt, pretzel sticks, candy noses, and icing eyes), and “Elsa’s Frozen Hearts” (white chocolate covered strawberries) are on just about every Frozen-themed party table. Check out how I worked them in below. 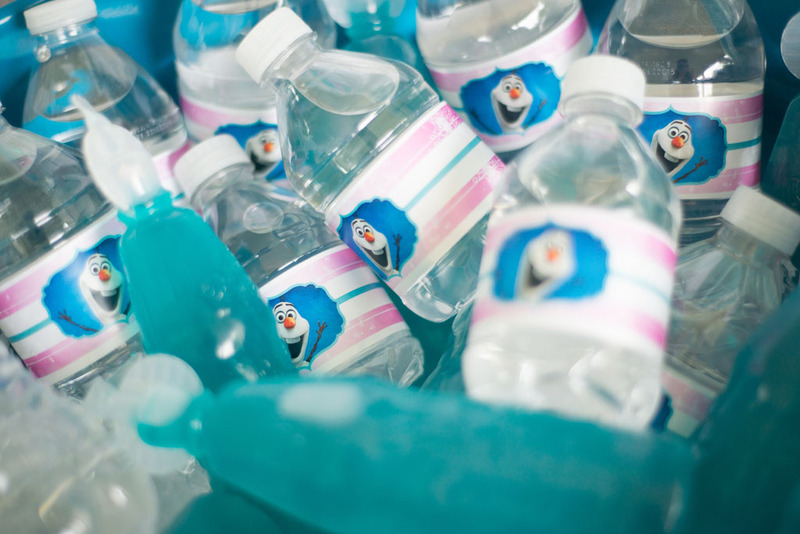 To my surprise, “Sven Snacks” were a big hit! 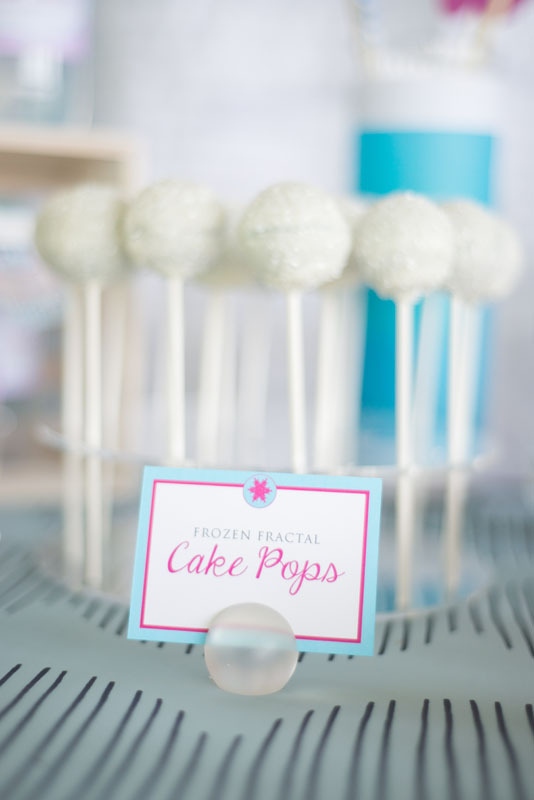 Cake pops are a must at all of my events. 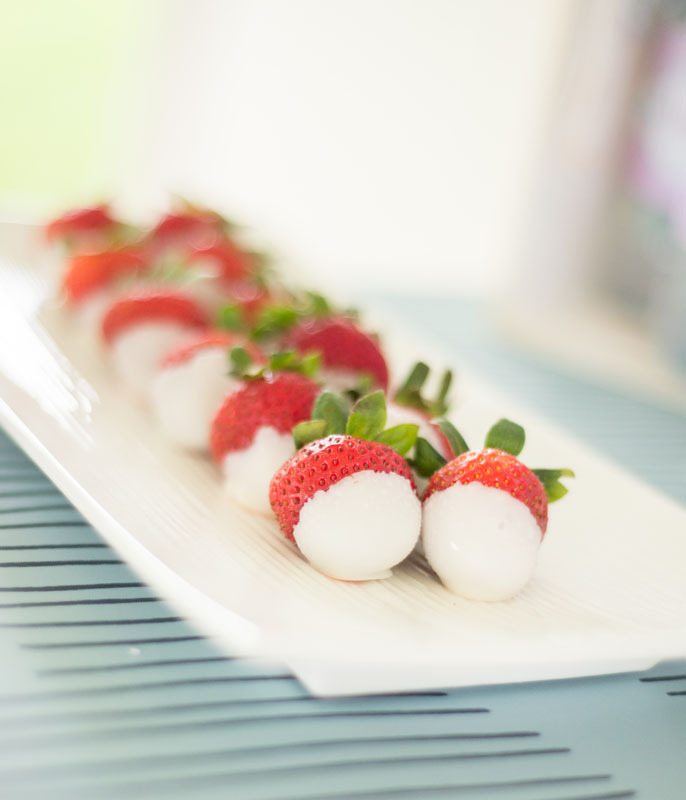 It’s a perfect portion for little kids and they are a great pre-cake treat. I dubbed mine “Frozen Fractal” cake pops because of the sugary coating. 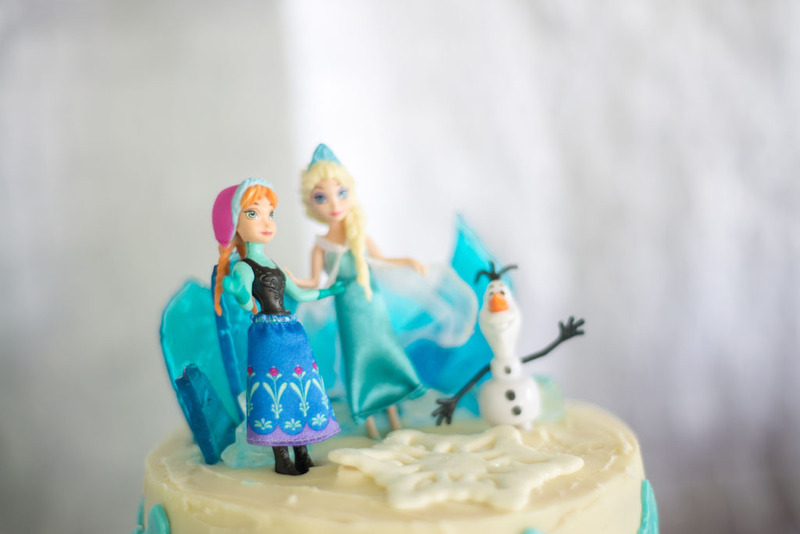 Each one was blue velvet cake to mimic Elsa’s dress. I like to give kids and parents something substantial to eat, so I supplied delicious croissant sandwiches. The best part was incorporating the line from the song “Love is an Open Door”…we finish each others’ sandwiches! White cheddar popcorn is one of my kids’ favorite snacks, so I added a bowl to the table and dubbed it “Slain Snowmonster Popcorn” after the giant snow beast that Prince Hans slays. I imagine what a snow monster would look like when it hits the bottom of an icy cavern. My best guess? White cheddar popcorn. 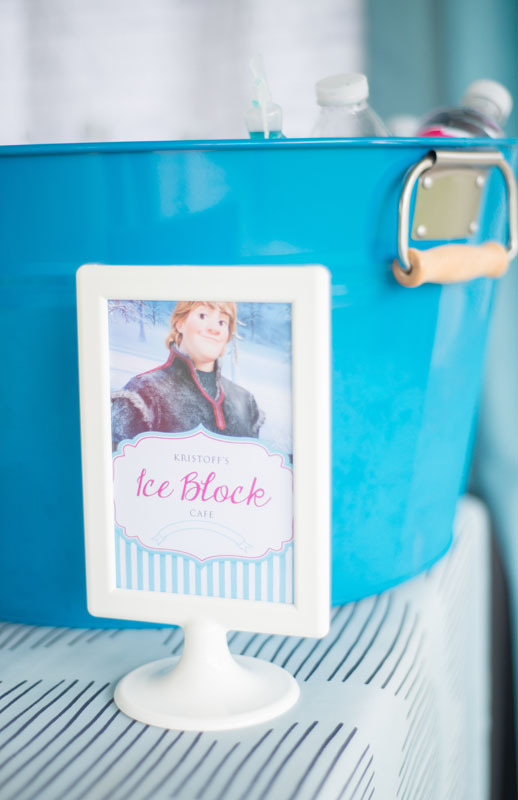 Kristoff’s business is selling ice, so it only seemed fitting to give him is own “Ice Block Cafe”! Party favors for this age group are relatively easy, but I wanted to give the kids something unique that wouldn’t end up in the garbage can (or have parents cursing me) 10 minutes after the party ended. 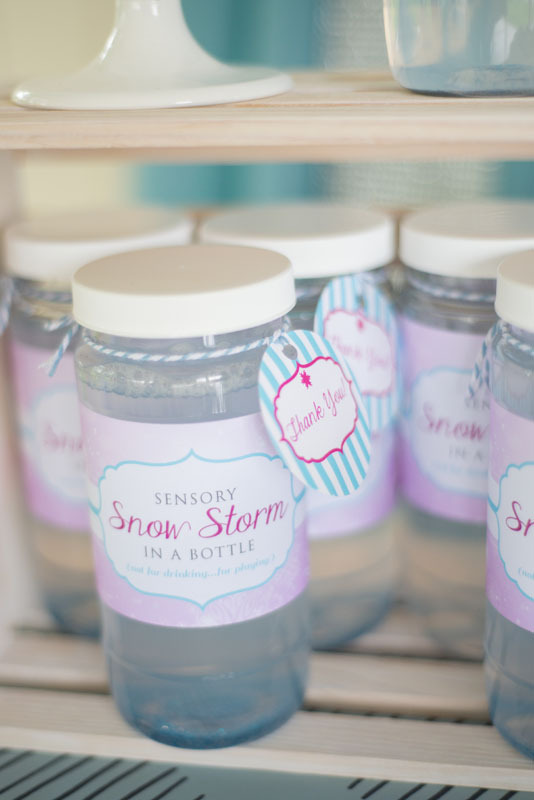 Since my daughter has made sensory bottles in school, I thought that creating a “Swirling Storm” to take home would be a great way to transition kids from party time to home. I don’t know about the kids, but these kept my interest for longer than they should’ve. I found the craft instructions here. 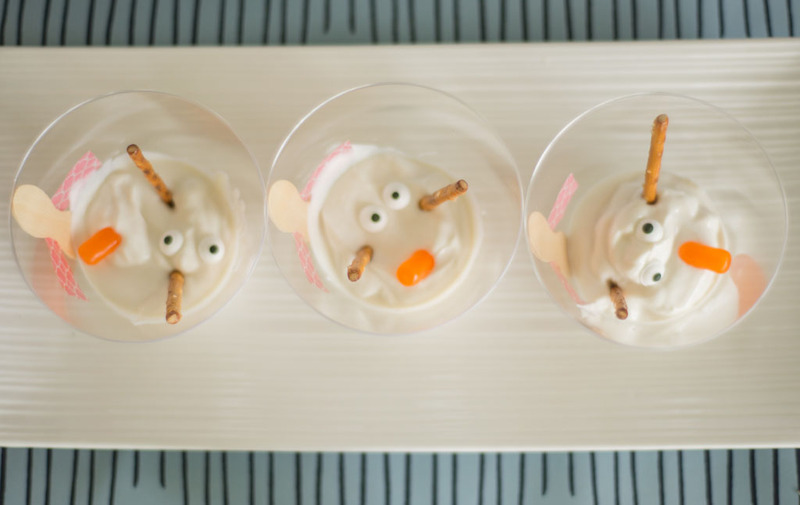 30 second crafts did theirs with an Olaf inside…super cute idea! 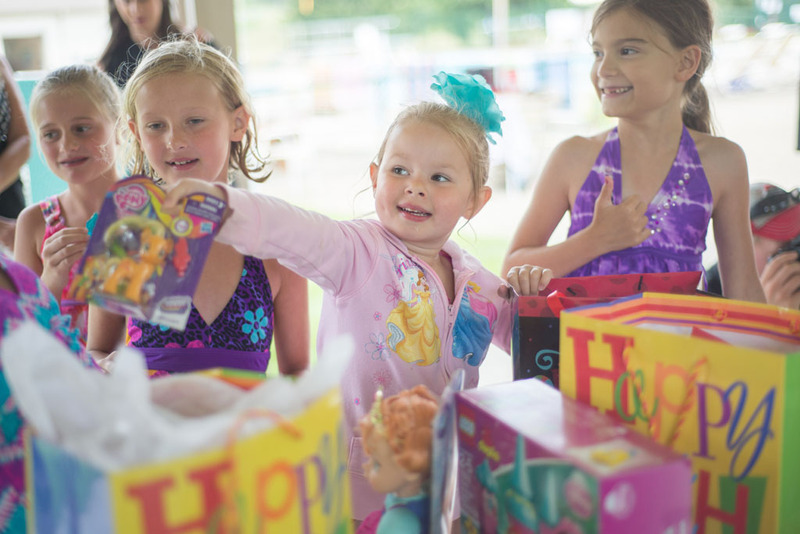 Happy party planning! Photo credit to Flash Photography of Dayton. ← Don’t Get Pinched! Last-Minute Ideas for St. Patrick’s Day. 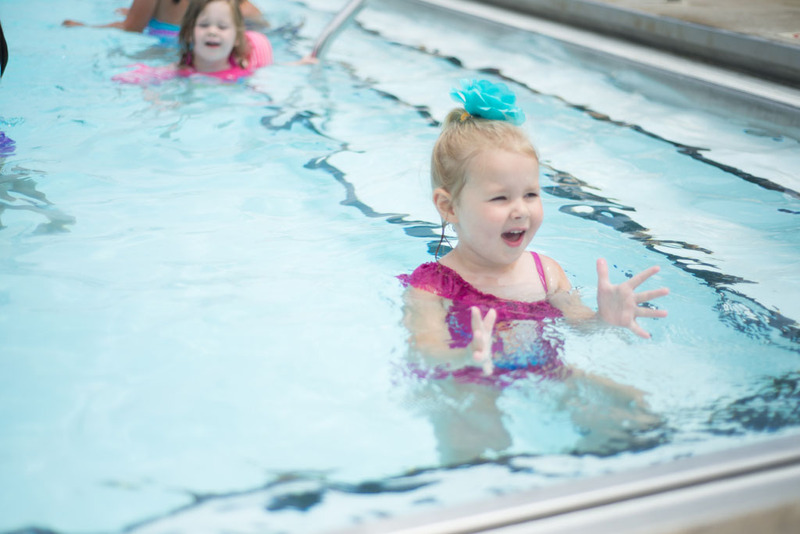 Looks like it was so much fun! Another great party by you! Great work! Your party looks ahmahzing. May ask how you go around the copyright infringements? 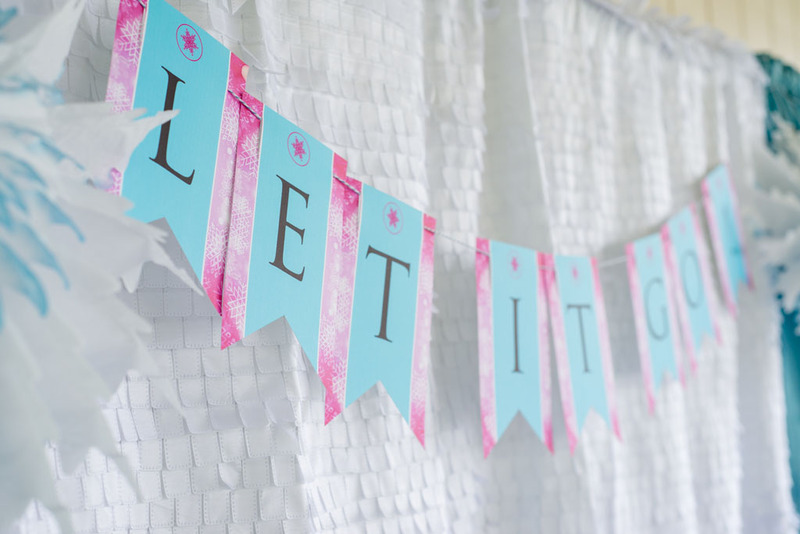 I’m not selling the printables in my shop as-is. They’ll be offered in a modified version. 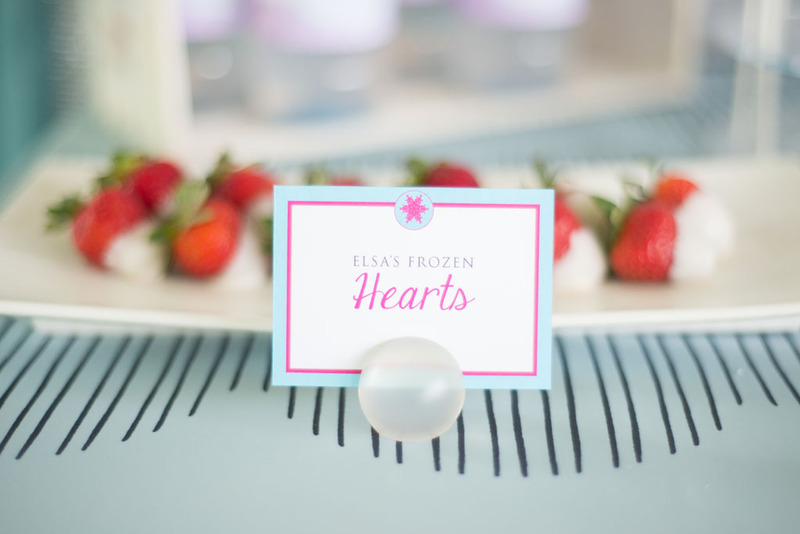 Do you have the printables available? 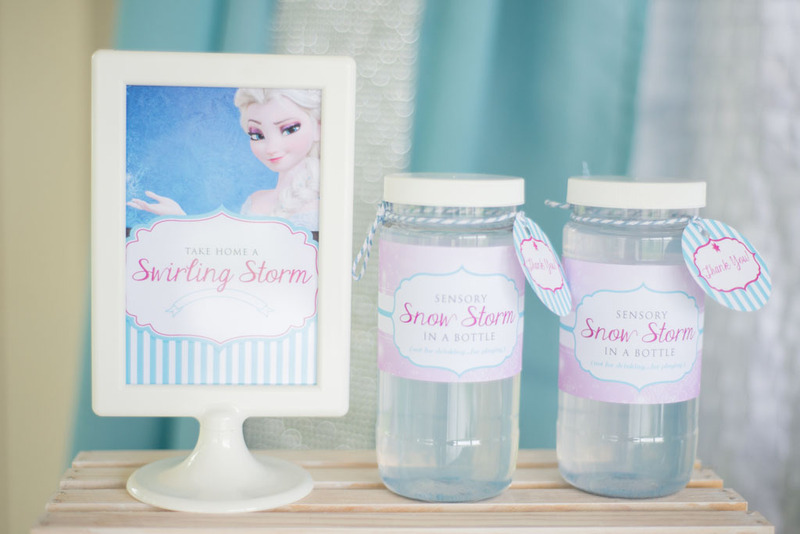 I am having a Frozen party for my daughters and I love the larger prints with the pictures. apartystudio on Hello (Kitty) Party!